With technology becoming more efficient in this last year alone, it seems new programs are being created to monitor the world and its citizens. With the release of the Orwellian camera system in New York last month to the new police force in Europe on the lookout for ‘abnormal’ behavior, it didn’t seem things would get worse. Now DARPA and the FBI are creating new programs that may bring us into what SCI-FI shows have displayed in the OuterLimits or TheMinority Report. The FBI has contributed over $1 Billion on a new biometric ‘Next Generation Identification System’ or NGI. NGI is a nationwide database of mug shots, iris scans, DNA records, voice samples, and other biometrics that will help identify and catch criminals. How this biometric data is captured through a nationwide network of cameras and photo databases, is at the heart of concern for privacy advocates and others fighting against the clandestine New World Order. Until recently, the FBI has relied on fingerprint analysis that they claim has been outdated with a need for a new technological boost. With this new facial identification system, citizens could be scanned by iris or facial expressions as in the movie Minority Report. We remember Anderton running from the police; however being identified in the subway by retinal scan giving away his location. It was until he changed his eyes that he eluded police from identifying him. Facial recognition systems have reached the point where they can match a single face from a pool of 1.6 million mug shots/passport photos with 92% accuracy, in less than 1.2 seconds according to the New Scientist. They also reported in the case of automated and biometric border controls where your face and corresponding mug shot are well illuminated, the accuracy approaches 100%. This method also works where DNA or iris records exist; it’s a very advantageous way of accurately identifying suspects. Although the FBI claimed this technology would openly be used to capture ‘criminals,’ perhaps advocates for privacy and freedom might have a case against it. As it has been noted, all faces and pictures captured by CCTV would be used criminal and noncriminal alike. All drivers’ license photos, DNA records from doctors, passport photos and every camera would be utilized with no surprise of anyone face showing up at any time. When one goes to the ATM, gas station, mall, convenience store, supermarket, even Subway, will be captured and stored for future reference. The FBI NGI system is supposedly considered a tool for the future of crime fighting; however negates the fact that unless covered up with shades and a hooded sweatshirt, you’re on the list even if you aren’t guilty. To make matters worse, the Department of Defense is said to contain a program that can monitor world media with a push of a button. From an ordinary computer, the Raytheon system can monitor all televised news all over the world and analyze it in seconds. This amazing program used by the DoD since 2004 does not require any maintenance, hardware setup, installation, or onsite administration— it is the perfect A.I. computer system. One of the quirks that the system does is automatically capture foreign media and deploys ‘state-of-the-art’ technology to translate, transcribe and analyze those video and audio streams in real time. This eliminates the need for any human to translate the language of the broadcast and seek out any threatening messages or plans to attack a specific location. Program director Prem Natarajan, head of speech and language processing at Raytheon BBN Technologies had some interesting commentary regarding the cooperation between humans and machines: “machines are good at looking for things and humans are good at analyzing … [it’s the] perfect bionic combination. The machine does what it’s good at and the human does what it’s good at.” Although examples of threats to America were used for how the machine targeted anti-American propaganda, it seems all media may be monitored for any commentary against any certain belief system. So far the program has 10 languages stored for easy translation with perfect punctuation that only a machine could provide. In the wrong hands, this technology might be abused and utilized for malicious purposes. Assisting the military campaign, DARPA has created the ultimate soldier combined with EEG brain scanners, 120 mega pixel cameras, and multiple computers running cognitive visual processing algorithms into a cybernetic ‘hive mind.’ After four years of research, the CT2WS or Cognitive Technology Threat Warning System will be used to assist the U.S. military in threat detection capabilities. Using the human brain, the soldier on the field will monitor with a 120 mega pixel camera any threats while having the EEG scanner mounted on his/her head. Using brain waves and algorithms, the computer sends back examples of threats (snipers, IEDs, enemy soldiers) that the soldier will deem either a “real” or “fake” threat. The computer seeks out the P300 responses from the human brain (as described in the other article Surveillance of the Human Mind). Using just the camera, reports of over 810 false alarms were recorded an hour. When the human soldier was implemented, only a stunning 5 false alarms were recorded! DARPA has marveled over how fast and efficient the human brain is and plans to execute its maximum potential. When technology becomes more efficient than it really is, DARPA plans to have a built in HUD system within binoculars or headsets; as seen in Universal Soldier where the unisols all had a similar device. With the new threat of monitoring programs and efficient military soldiers, one can ponder if these new inventions will benefit the average citizen for safety or keep them in line in case of social upheaval. The world seems to be on the brink of massive change which could prove difficult for those who plan on going through this transition peacefully. There are good humans out there that desire peace and the opportunity for ascension; however it seems that governments do not want to take the chance of any kind. By the end of December, the world will change either by human decisions or Nature herself. It doesn’t seem like the end of the world; rather the beginning of a technological dystopia or with some revisions, paradise. We do have the power to see which way this goes, but can this be achieved with surveillance at every corner invading our private space? The next few months will be interesting to say the least. Sebastian Anthony. “DARPA combines human brains and 120-megapixel cameras to create the ultimate military threat detection system.” Extremetech.com (September 2012). David Cardinal. “Changing the world: DARPA’s top inventions.” Extremetech.com (November 2011). Allison Barrie. “Military tech can monitor all world media at the press of a button.” Fox News (September 2012). Sebastian Anthony. 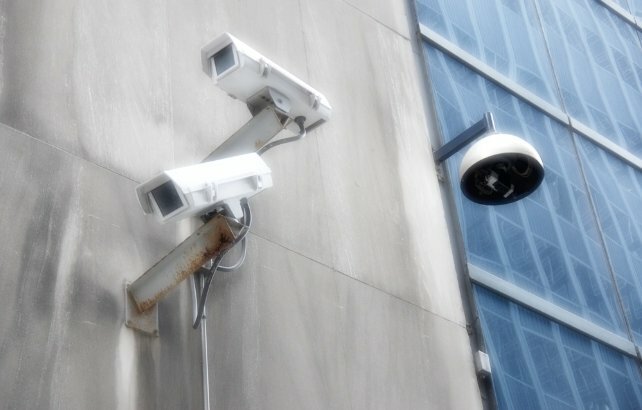 “FBI launches $1 billion nationwide facial recognition system.” Extremetech.com (September 2012). Sebastian Anthony. “Precrime creeps closer to reality, with predictive smartphone location tracking.” Extremetech.com (August 2012).